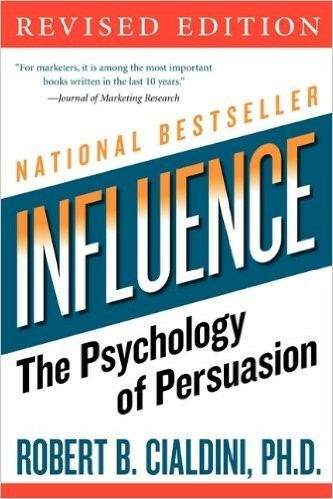 In 1984 Robert Caldini wrote his ground-breaking book, Influence: The Psychology of Persuasion. Part of Caldini’s research was going undercover with seasoned sales people and observing firsthand how these principles can be applied. The Six Principles of Influence outlined in the book are timeless. Because the book was published over 30 years ago, I find the examples do illustrate the principles, but are not relevant in todays’ modern era. Reciprocation is when someone feels obligated to respond when you have provided them with a gift. The gift given does not need to be expensive. 1. Purchase a table at a corporate speaking event that strongly aligns with your customer industry. You are providing a professional, social event that could provide valuable insight to your customer. This is a relatively low-cost investment in your customers which could help you build reciprocation. 2. Organise a monthly coffee catch up with your key customers. This is an opportunity to provide customers special industry insider information about your industry. Your customers will value the time they spend with you and will also be more open to sharing some of the internal challenges their organisation is facing. This understanding will help you more accurately understand how to better serve your customers. Prior to making important decision, people and organisations look around at others have previously made the same choice. More people who have chosen something gives a buyer more confidence to proceed. 1. If you are running a small business or startup, one of the best ways to trigger faster growth is to target well known brands in your early days. As soon as you have a few well know “logos” you can put them on your website as well as list them when you describe your business. Well known brands are strong validations and can be a strong influence to new prospective customers. A friend of mine managed a business which received approval to feature his products in the Apple store as an iPhone accessory. Even though his companies brand was not big, the fact that Apple carried his products gave him incredible influence over partnering with many more distributors and organisations on the fact that Apple was stocking their products. 2. A good B2B influencing approach is calling your prospective customers when you have made a sale to a similar organisation. This is about sharing your genuine excitement about this new customer, and the hope that you can provide the same level of help for the prospect who might be considering you as a vendor. Enthusiasm can be contagious and this will also help sway your influence with more organisations. 1. At the end of a sales call with a customer or prospect, tell them that in the next 90 mins you will send them an email summarising the main points and action items they have agreed to. Invite them to read the email and reply back to confirm or clarify the content. This approach will have a strong impact on helping the customer to follow through on what they expressed in the meeting. Too any times the enthusiasm goes cold when commitments are forgotten. 2. Prior to presenting your proposal to a large customer, do your research on the CEO or organisation’s values. A Mission Statement could also be helpful. Aligning your proposal with their values will you gain greater influence. 1. Whether you work for yourself or employed by a company, make sure you build in your own personal brand. Once you have done the basics of professional photo and LinkedIn profile, you should be writing article, attending and speaking at industry events. 2. People like who they trust. So be trust-worthy. For example one regular customer of mine sent through a contract with a much higher price than the one we had agreed upon. I could have “pretended” I did not see it and accept the contract. This could have provided me with a short-term win, but in the long term reduced my ability to be trust worthy and be liked by the customer. – Become a subject matter expert – no matter how narrow the field. 2. Build your authority through being more confident! Don’t be afraid to take an unpopular opinion if you feel that it is right. Principle Six: Scarcity: The less there is of something, the more people value it! 1. Time based deadline such as publishing schedules are easy ways to help customers make faster and decisions in your favour. In some industries it is acceptable to take the “good cop, bad cop” perspective with clients. The sales person calls their customer at the end of a month or quarter to say their manager is putting pressure on them to close off all opportunities. The sales person’s boss has given approval to offer a one-time discount if they can sign off within the deadline. 2. Producing a small number of limited models, such as Lamborghini means a higher price and greater demand from discerning buyers.